On April 12th, 1961, Soviet cosmonaut Yuri Alexseyevich Gagarin became the first human in space. His remotely controlled Vostok 1 spacecraftlofted him to an altitude of 200 miles and carried him once around planet Earth. Commenting on the first view from space he reported, "The sky is very dark; the Earth is bluish. Everything is seen very clearly". 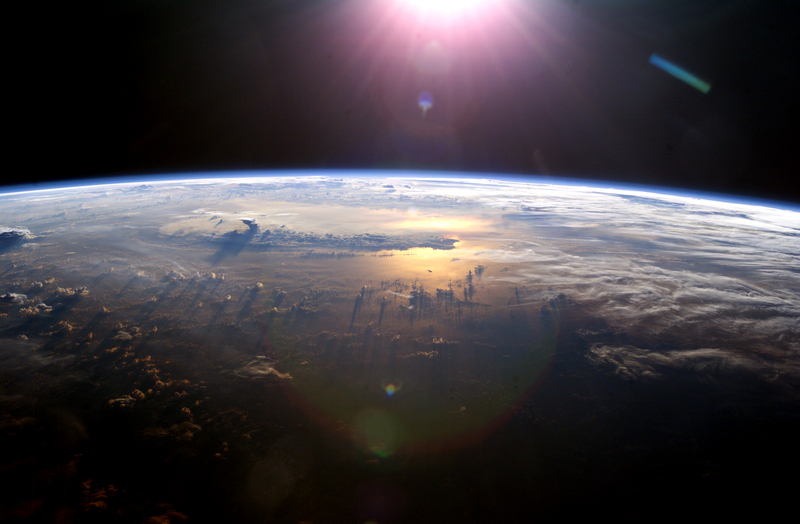 His view could have resembled this image taken in 2003 from the International Space Station. Alan Shepard, the first US astronaut, would not be launched until almost a month later and then on a comparatively short suborbital flight. Born on March 9, 1934, Gagarin was a military pilot before being chosen for the first group of cosmonauts in 1960. As a result of his historic flight he became an international hero and legend. Killed when his MIG jet crashed during a training flight in 1968, Gagarin was given a hero's funeral, his ashes interred in the Kremlin Wall. Twenty years later, on yet another April 12th, in 1981, NASA launched the first space shuttle.